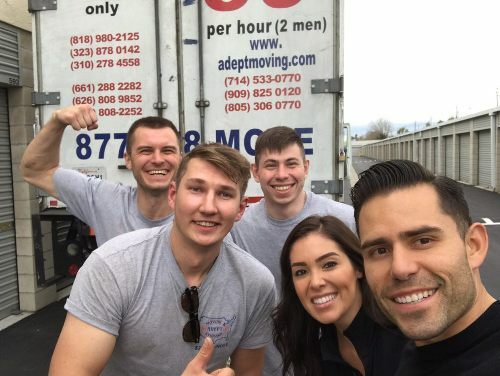 Having a long-term experience about the moving industry, Adept Moving Company is known as the most popular and distinguished moving company of Los Angeles and surrounding areas serving the customers with full fledge and efficient moving services in order to make their moving process an easy and hassle-free one. The company deals in all sorts of moves, be it a residential, commercial, local or long distance, they are capable of doing all irrespective of their type, size, and location. The company has a wide variety of services to serve their customers in a far better way and the best part about which is their low and fair prices of all the services. Their every service has comparatively low rates and do not include any hidden fee or extra charges, thus making it easier and cheaper for you all to move your belongings in a more affordable yet professional manner. The Company charges the lowest prices as compared to the other moving companies of the industry and is determined in offering enormously good moving services at affordable rates. They charge on an hourly basis which is just $59 per hour for 2 movers and a truck. They commit to delivering all your belongings at the right time without any delay. Their time starts as soon as they reach your location and ends with unloading and unpacking all your belongings carefully. Other than moving services, the company is also dedicated to offering other relevant services such as assembling/disassembling of the furniture, packing/unpacking, loading/unloading etc, in order to mark you move as an accomplished one. Along with these advantages, the company’s efficient and talented team of moves is something which makes it more unique than any other moving company in the industry. They all are qualified in performing their jobs rightly and on right time, thus offering you all a successful and a happy move. Hurry up and call them to have an exceptional moving experience while moving with Adept Moving Services. Adept Moving Services was established in 1998 with a first and foremost motive of making their clients happy and satisfied with the moving. All the employees at the company make sure that each of their clients gets an exceptional experience about the moving and remain stress-free during the process. Over the years, the company has made many customers satisfied and many moves successful with their efficient and full fledge moving services. And, today they are considered as the most reliable and reputed moving company, standing behind its motive and services for about 15 years and making moves successful. Henry K. the owner of Adept Moving Services has been in the moving industry for a long time and has gained a sound and professional experience about all the ins and outs of the moving companies. He himself supervises all the activities of the movers and makes sure that everything is taking place as per the quality standards of the company. 708 N Manhattan Pl, Los Angeles.